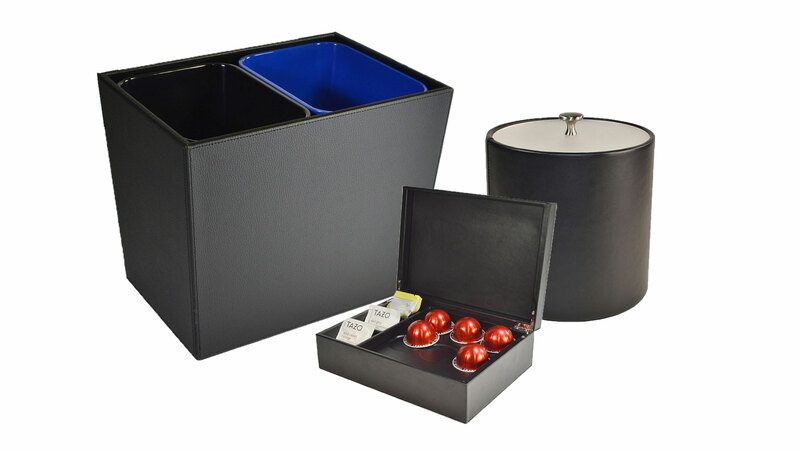 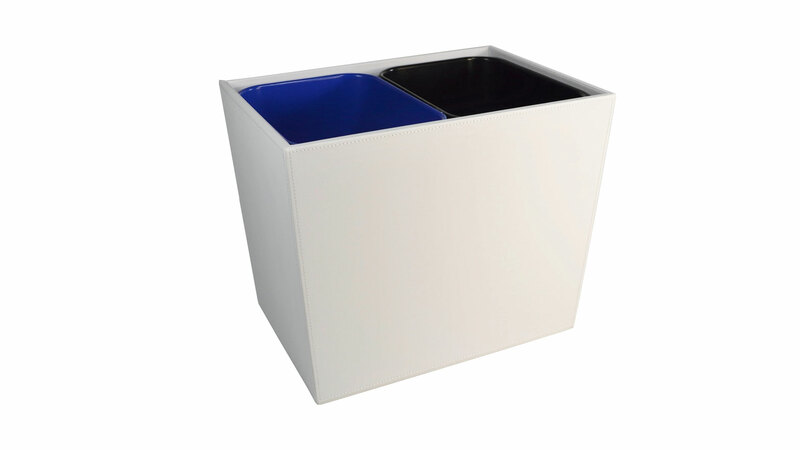 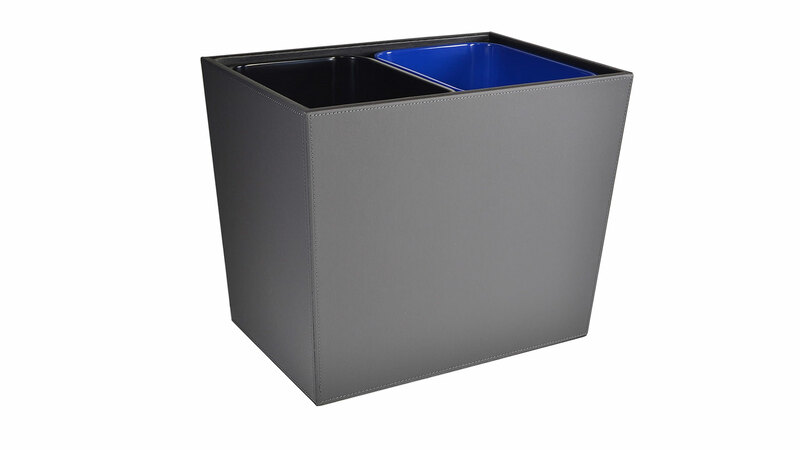 Our Dual Bin Wastebaskets make it easy to sort your trash and recyclables into one convenient space. 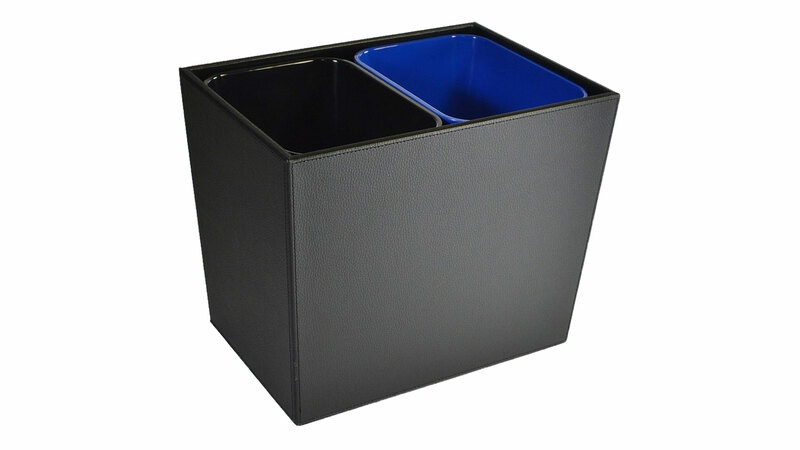 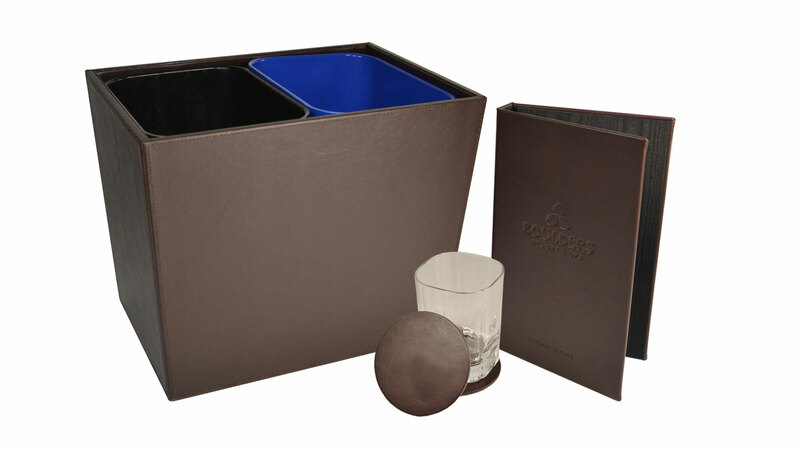 They are stylish yet sturdy and includes two heavy-duty 8-quart resin liners. 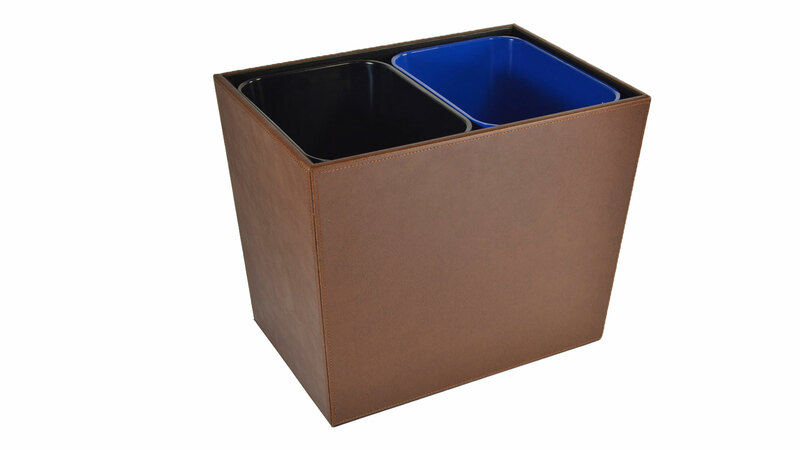 The liners are removable for easy clean-up. 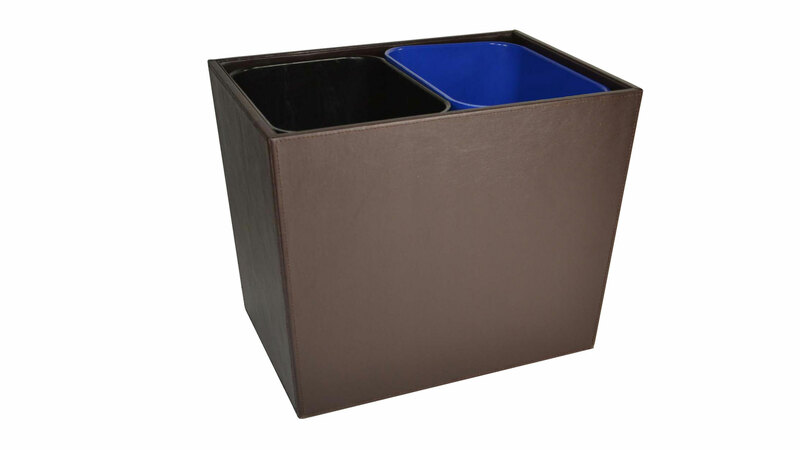 We can also custom make these Wastebaskets to match a desired color or material. 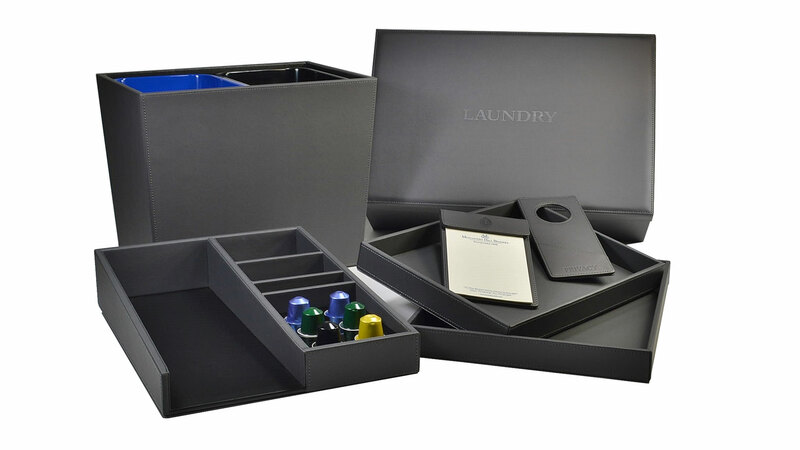 *200 piece QTY min for Custom Colors or Materials.